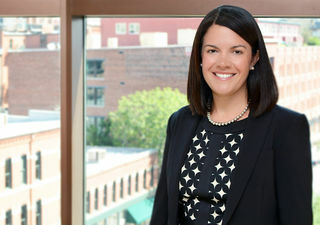 Shannon Stevenson is a partner in the firm's Trial Group and serves on the Executive Committee. She has extensive experience in all phases of litigation and arbitration, as well as special expertise in appellate proceedings and has represented a wide variety of clients, but has particular expertise litigating for clients in the energy, natural resources, and construction sectors. Ms. Stevenson has been active in the Colorado Women’s Bar Association, and will serve as its President in 2013-14. She currently serves as the President-Elect, and has previously chaired both the Judicial and Public Policy Committees. She has briefed and argued multiple appeals on behalf of indigent prisoners to the U.S. Court of Appeals for the Tenth Circuit as part of the Circuit’s Criminal Justice Act Panel. Ms. Stevenson was also recently appointed to the Screening Committee for the newly-created Colorado Appellate Pro Bono Panel.